Tennessee DUI: How do I get a SCRAM Bracelet Removed? Pretrial residency in an in-patient alcohol or drug rehabilitation center. The most common condition given to someone who bonds out of jail for a DUI is the use of an alcohol monitoring device. However, you can have this device removed if you complete one of the other conditions that courts can apply. For example, if you check yourself into in-patient alcohol or drug treatment, then the alcohol monitoring device can be removed. Another instance where the alcohol monitoring device can be removed is if you install an ignition interlock device on your vehicle. In short, a criminal defense attorney can file the required Motion and Order to have your SCRAM bracelet removed, so long as you complete one of the other conditions required by law. Ask a criminal defense lawyer how they can help. Tennessee Marijuana Laws: Is Change in the Future? This is a guest post from Texas Criminal Defense Attorney Andrew Deegan. Andrew is an author and frequent contributor on criminal defense topics. Read more about Andrew on his website. The views and opinions of author expressed herein do not necessarily state or reflect those of this law office. Like so many other issues, there is still a deep divide in the nation regarding marijuana laws. I practice law in Texas. In Tennessee, just like Texas, possession of marijuana will get you arrested and charged. In other states, including Washington and Colorado, marijuana is fully legalized. The District of Columbia just legalized marijuana, allowing anyone in the small federal brainstem of our country, where our highest levels of federal government sit, to freely consume marijuana. It’s a remarkable shift in national attitudes toward this notorious plant that was not too long ago penalized harshly on both federal and state levels. This is part of a greater trend over the last several years that started with states such as Colorado and Washington moving toward full legalization. Oregon did the same last year, and other states are likely to follow. There are many reasons for this shift. Proponents of marijuana believe it is not only medically beneficial, but recreationally harmless. Proponents also point out the vast resources spent on jailing and prosecuting people for simple possession of marijuana and how those resources could be used elsewhere. Obviously, some states strongly disagree. Nebraska and Oklahoma, for instance, sued the State of Colorado in federal court to prevent their legalization on the grounds that it violates the Supremacy Clause of the U.S. Constitution. Possession of marijuana is still aggressively prosecuted in Tennessee, across the South, and in other conservative states, including my home state of Texas. For residents of Middle Tennessee, simple possession of marijuana will still get you arrested and charged. Tennessee has harsher possession penalties for marijuana crimes than Texas. In Tennessee, marijuana possession of more than half of an ounce is a felony, while marijuana possession of less than half an ounce is a misdemeanor. In Texas, you need to have more than four ounces to be charged with felony possession of marijuana. Throughout the South, including Tennessee, Texas, and other states, there are still punitive marijuana laws that likely will not be swept up in the recent wave of change. Despite this, economic incentives to legalizing marijuana are starting to move the needle, especially in bigger cities. In order to keep costs down, big counties like Dallas County, near where I practice, have considered no longer arresting people for amounts under two ounces to keep costs down. Will Tennessee and Texas ultimately move toward legalization of marijuana? I think that it will happen eventually and that the economic incentives to legalize marijuana and tax it will eventually prevail. However, I don’t think it’s likely to happen anytime soon. What do you think? We are often asked how does a law office decide criminal attorney fees? If you have ever dealt with more than one lawyer in your life, you already know the answer to this question: because every case is different! Most people understand that hiring a criminal defense lawye-r for representation in a DUI is much cheaper than hiring representation for First Degree Murder. The more severe the charge, the more likely it is that your criminal attorney fee will be higher. Additionally, if there are multiple charges, the fee will likely be higher. A criminal attorney fee may be higher or lower depending on the complexity of the case. For example, a shoplifting charge won’t require a lot of witnesses or medical experts, but a DUI charge might need an expert witness on blood alcohol. Cases that make the news are often more complex and require much higher fees. The more complex the case, the more likely it is that your criminal attorney fee will be higher. As one attorney noted: you don’t pay a gunslinger by the bullet— you pay him for his gun. 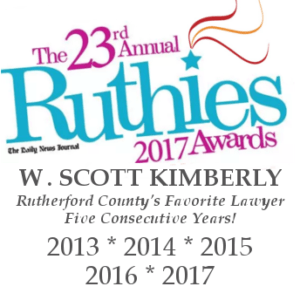 Frequently, it is the reputation, skill, and knowledge of an experienced criminal defense lawyer that turns a bad situation into a good outcome. More experienced attorneys often demand higher fees. There are other considerations as well, including the location of the case, whether an attorney will have to travel, the number of anticipated court appearances, the number of witnesses, etc. At our office, we have tried over forty jury trials and have successfully negotiated thousands of cases. We have also handled dozens of high profile cases in the media. If you have any questions and need to speak to an experienced criminal defense lawyer, feel free to call our office. High profile cases, which are often front page news, are much more complex and often require higher fees. Driving under the influence of alcohol is serious business in Tennessee. Not only are those who are behind the wheel affected. Their families are often affected as well because individuals can serve significant time in jail for DUI offenses. With this in mind, legal representation is key when it comes to DUI matters, as there are several offenses for which people can be charged. DUI offenses range from Violation of Implied Consent and Refusal to Submit to Blood Alcohol Information, which are misdemeanors, to four-time repeat offenders, whose conviction would be considered a Class E Felony and may contain up to one year of jail time. More serious DUI offenses also include Child Endangerment, Vehicular Homicide, and Aggravated Vehicular Assault, all of which may occur while driving intoxicated. In the state of Tennessee, two new laws were adopted this summer that involve the aforementioned topics. The first new DUI law in Tennessee is named after Maryville’s Amelia Keown, who was killed in a collision by a repeat DUI offender. Under this law, it is possible for any drug/alcohol offender to be monitored daily with a transdermal monitoring device. The second new DUI law in Tennessee gives the court power to sentence second and third time DUI offenders to substance abuse treatment after serving a designated period of time in jail. This law could ease the overcrowding in jails as drunk drivers are sometimes grouped in the “non-violent” class. While there are many scenarios that pertain to DUI law, the one constant that remains the same is that sound representation is crucial to all parties involved in a DUI case. This week, a former client walked into our office to show me his driver license. As I held the license in my hand, I couldn’t help but smile. In June, this young man had come to our office for help getting his driver license back. He had made some poor choices in his past, which resulted in a series of criminal charges, including an underage consumption charge and a DUI. As part of his DUI offense, the state revoked his driver license and he could not reacquire his license until he paid his court costs and fees in full. His total bill in costs and fees was over $15,000. Unfortunately for our client, he was caught in a circular dilemma. He could not pay his court costs and fees until he secured employment, he could not secure employment without a driver license for transportation, and he could not get a driver license for transportation until he paid his court costs and fees. In short, until his court costs and fees reached a manageable level, he could not work or go back to school. After a consultation with our office, we decided to take the matter head on. Our office pulled all of his court files and researched the nature of every fine and cost levied against him. We discovered that, of the $15,000 in costs and fees, over $10,000 had been assessed by the county jail. Our client had served over a year in jail and had been charged for every day he served. In our experience, a court is more likely to reduce or waive jail fees than court costs, especially those arising out of DUI offense. Our office prepared and submitted a Motion to Waive Jail and Workhouse Fees, submitted that Motion to the court, and fought for our client to get his costs and fees reduced or waived. After negotiations with the District Attorney, our office successfully reduced our client’s court costs from $15,839.15 to $5,234.15, a reduction of over $10,000. Had our client not decided to speak with an attorney, he may have never reduced his court costs and fees, and he may have had to wait several more years to attain his driver license. I knew that day that I had helped him get much closer to his goal of getting his driver license back. However, to hold that license in my hand and see him smiling reminded me why I do what I do. Do you or someone you know have a similar problem? If you have a legal issue and you aren’t sure whether a lawyer can help, don’t hesitate to ask. Our office offers free consultations precisely because we think everyone should know whether there are legal options that may provide relief.